Every year, the gloves come off and the SHL testing comes out – last year was no different. During my seemingly unwinnable quest to land a vacationer program, I noticed how little content there was on this topic for young Australian adults. I would read pages and pages, articles and articles, just to close the window whenever I saw the word “sophomore” or “college”. It seemed like all helpful content belonged to the American market, which I found difficult to relate to. I want to change that, so here are my top 7 tips and tricks that helped me land a vacationer. Naturally, almost all of us applicants will be applying to more than one firm, and who knew there were so many different names for similar service lines? To help keep track of every company, service line, and application progress, I would recommend starting a tracker by using Microsoft Excel or Google Sheets. Start with the company name in the first column, and then service line followed by the stages of the process: application, testing, video interview, assessment centre, and finally, offer. I would also mark each cell with either Y or N depending on whether I had progressed through that particular stage. I found this helped a lot when I was waiting for calls as I knew exactly which companies I was expecting calls from. I’m sure most candidates are familiar with SHL testing or similar programs that aim to assess one’s verbal, numerical, and inductive reasoning. You know those days when you read a line of text and it doesn’t seem to click, and you just forgot what you read? I know what you mean. To avoid doing these tests with a sluggish mind, I would recommend doing some practice testing before completing the real assessments. I found that this warmed me up and kept me sharp between the ears. My favourite and most effective tip of all – record yourself before you do your video interview. Open your laptop’s webcam software (I used Photobooth on my MacBook) and practice answering common questions such as, “Why do you want to work here?” and “Why did you pick this service line?”. Make sure you watch it back so you can decide if you have made enough eye contact, and assess how you’re coming off to the camera. Also, I find that the more you film yourself, the more concise and to-the-point your answers become, which is great for short video interview responses. Often I hear my friends talking about how they only dress business from their torso upwards for video interviews and leave their pj’s on the bottom. I like to dress entirely for the part, including a pair of heels. I feel as though this always puts me in a more ‘professional’ mood, and helps my posture. I think wearing a full outfit means you’re treating this video interview as if it’s a real face-to-face interview. During the group activity in an assessment centre, it’s easy to either hide in a shell and let your shyness take over, or feel as though you’re on a mission to HR to prove you’re a leader. I find that the best way for everyone to enjoy themselves AND leave a great impression, is to be accommodating. Make an effort to include others that may be shy and ask for their opinion, compromise with others in a respectful but assertive way if they challenge your ideas, and lastly, put forward your own ideas as well as clear steps to achieve them. But never forget to let your personality shine! I’ve spoken to recruiters about the #1 mistake candidates make during any sort of interview and without fail, the answer is always, “lack of preparation”. It stuns me how many candidates go into interviews completely empty-handed. I have the habit of printing extra copies of my resume, transcript, and photos of interesting projects I’ve been a part of. First, extra copies of your official documentation comes in handy if one of your interviewers is missing a copy. Secondly, I like to lay out my resume right in front of me during my interview as it can often jog my memory when I’m thinking of situations to give as examples during behavioural questions. I find that photos, screenshots, or stills add an extra layer to your answers as you don’t have to force your interviewers to imagine that “really great” project you were a part of. Also, it shows that you anticipated being asked certain questions and they haven’t got you on the back foot – further conveying your countless hours of preparation as a candidate. Make sure you have questions prepared to be asked at the end of your individual interview. And I don’t mean generic questions – I mean questions that make your interviewers pause and think. Personally, I always like to find out a bit about how the interviewers got to where they are today, and believe me, their stories are always fascinating. Also, make sure you find out if the firm is a good fit for you, rather than only trying to show that you’re a good fit for the firm. 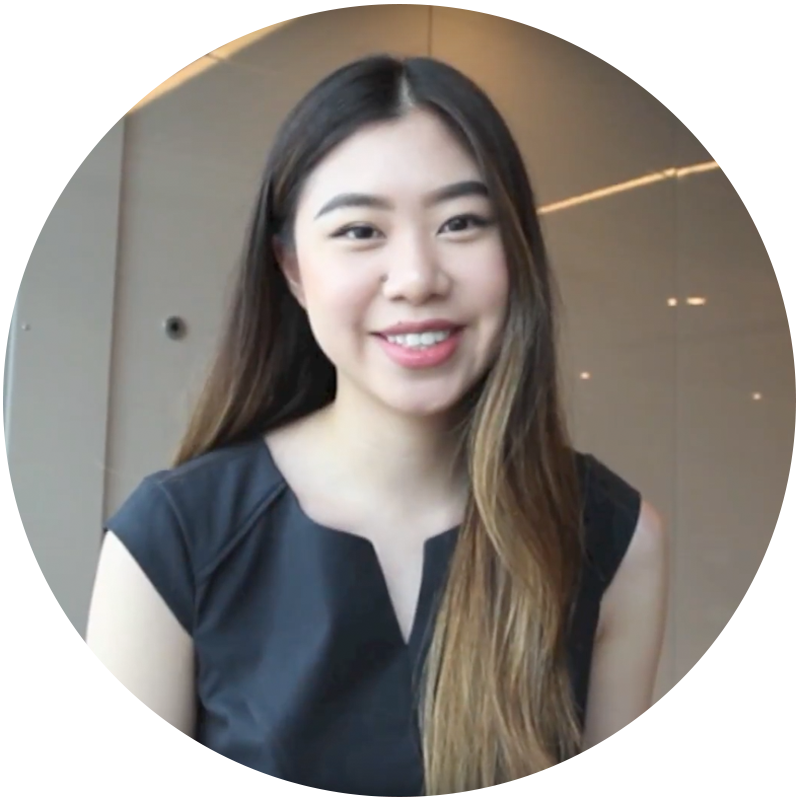 Emily is currently a final year Bachelor of Business student majoring in Accounting & Finance. She has recently completed her vacationer program in Growth Advisory with Grant Thornton Australia, and continues to work contractually as a Consultant within the People & Culture team. She has also undertaken work experience with Network Ten, HomeHello, and Cooper St. Finally, she has secured an Advisory Graduate role with Ernst & Young, commencing next year.